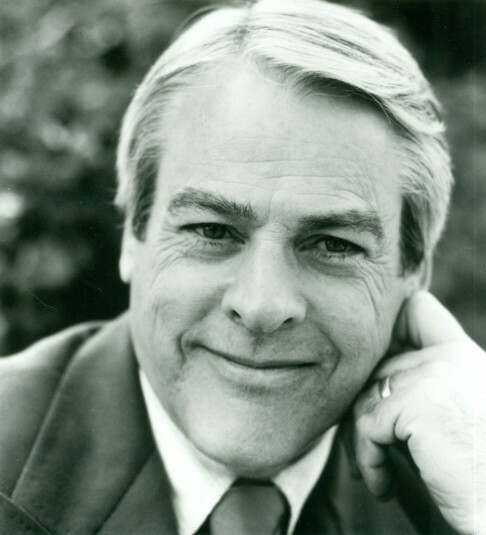 Meeting veteran stage and screen actor Kevin McCarthy in a Hollywood restaurant was a thrilling experience. When I saw him entering his favorite restaurant Musso & Frank Grill on Hollywood Boulevard, where he’d meet every Wednesday evening Karl Malden, Robert Wise and a number of other screen veterans of his generation, it was impossible not to notice him. At 89, he still had his présence, his voice and when he entered the restaurant, smiling, shaking hands and saying hello to friends of his who were also there, he still impressed anyone who noticed him. He simply didn’t age. So how wonderful can life be when you’re young at heart? Mr. McCarthy knew all about that: talking about the past, the present and the future, he made it perfectly clear he had no plans whatsoever to retire. After a career as an actor, which spanned over six decades up until this interview in 2003, there were still some ambitions to be achieved for one of Hollywood’s most reliable character actors. As he had always been one of Hollywood’s best, most recognizable and probably one of the most enduring character players, appearing in a constant string of films from the early 1950s through the 1990s, he also appeared on Broadway in plays such as ‘Flight of the West’ (1941) opposite Paul Henreid and Karl Malden, Maxwell Anderson’s ‘Joan of Lorraine’ (1946) with Ingrid Bergman, ‘Advise and Consent’ (1961) with Ed Begley, ‘Three Sisters’ (1964) with Geraldine Page, ‘Happy Birthday Wanda June’ (1971) with Marsha Mason, ‘Poor Murderer’ (1976) with Maria Schell in her Broadway debut, ‘Alone Together’ (1984) with screen actress Janis Paige, and on the London stage he played Biff, the son of the title character, in ‘Death of a Salesman’ (1949-50), directed by Elia Kazan. For the 1951 screen version of Arthur Miller’s highly acclaimed play, he was bestowed with an Academy Award nomination as ‘Best Supporting Actor’, but unfortunately, he and nearly all other actors that year were not up to “A Streetcar Named Desire” which got three out of four acting awards – ironically Brando was the only one actor from that film nominated for an Oscar who didn’t win (Humphrey Bogart was awarded for his leading role in John Huston’s “The African Queen”). However, as Mr. McCarthy remembers fondly, ‘at the post-Oscar party, Hedy Lamarr took my hand, leaned over and kissed me on the cheeck, saying, ‘Kevin, you had my inside award tonight!’ I knew it, life can be beautiful! 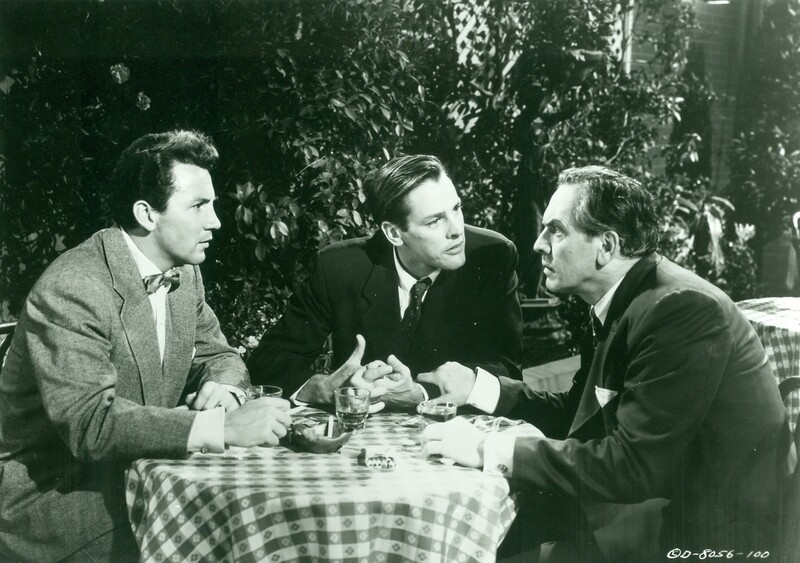 Although often associated – rightfully – with Stanley Kramer’s filmization of “Death of a Salesman” (1951), any reference book will refer to Mr. McCarthy as doctor Miles J. Bennell, the hero and the haunting fugitive from “Invasion of the Body Snatchers” (1956) who, pursued by pods from outer space, dashed onto a highway and screamed, ‘They’re here! They’re here!’ Film wise, that film was, is and will always be his landmark, though it would do him injustice not to mention or focus on his many other stage and screen highlights, as his career extends far beyond the 1956 sci-fi classic. Let’s take a moment and look back on his life and career. After a harsh childhood – at age 4, the 1918 the worldwide Spanish influenza virus proved to be fatal to both his parents Roy (38) and Tess (28) who passed away one day apart on November 6 and November 7, only a few days before the Great War came to an end on November 11. His survival instincts got him through education, as well as through the Great Depression in the 1930s, and as a young and aspiring actor, Mr. McCarthy made his Broadway stage debut in the Pulitzer Prize-winning play ‘Abe Lincoln in Illinois’ (1938) opposite Raymond Massey. Living in New York for many years, he got his training at the Actors Studio, a drama school and rehearsal group for actors (founded in 1947 by Robert Lewis, Cheryl Crawford and stage and screen director Elia Kazan) where they worked together, commented on each other’s work and tried to bring a more realistic way of acting. How do you look back to those days at the Actors Studio? The studio was composed of two different sections: one for the accomplished, established and more experienced members, handled by Robert Lewis, the other one for the young and undiscovered talent, the newcomers that were just getting into the business, with Kazan as their mentor – I had worked with both of them. Actors sort of had to audition to be granted membership therein. We had biweekly meetings, on Thursday and Friday morning from 11:00 AM until 1:00 PM. Elia Kazan was a marvelous director: he created a great, dynamic atmosphere on the stage. It was extraordinary and stimulating to talk to him about your character and he had the talent for using the stage – in other words, he knew how to move people about and take them to different levels of intensity. He had the ability to make the stage vibrate. What made him such a great director? It’s hard to tell, it’s obvious he had something that somebody else didn’t have – some of it is personality, some of it is inside, some of it is learned maybe. He had this quality in him that brought all kinds of things to pass on in films and on the stage. People often ask me what the difference is between acting on the stage and in front of a camera. On the stage almost anything goes: you have much more freedom to act or move around, your voice and your body language can be very subtle and revealing features – as I am primarily a stage actor, it was a wise decision to study voice and I had the good luck to have a terrific vocal teacher. However, in films, especially when you work in close-ups, most of this gets lost. The theater is broader and deeper for an actor. As far as acting is concerned, Mickey Rooney is a perfect example to refer to – we appeared together in “Drive a Crooked Road” . There was a very critical scene in that film where three hotshots are robbing a bank, while he is at the wheel of the getaway car. Each one of us is waiting for the moment to escape and we’re all doing different versions of tension: grim glances back and forth, things like that. Mickey was just sitting there, he even seemed uninvolved! But when I saw the film, he sat there like a Sphinx, just looking at the entrance of the bank, but during these moments of tension, one single finger of his tapped on the steering wheel, which illuminated the whole critical situation. And that really did it, it vibrated the suspense. Being and working with that man was a very interesting learning experience. 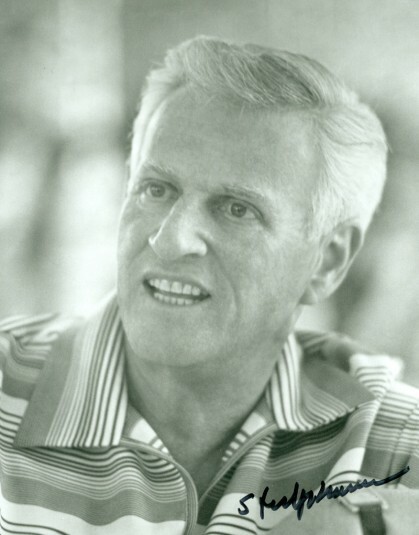 Ultimately, it was Stanley Kramer [1913-2001] who brought you to California in 1950 and launched your career as a screen actor with “Death of a Salesman”? That’s right. Cheryl Crawford, who was one of the directors of the Actors Studio, had seen me in a scene from a Tennessee Williams play called ‘You Touched Me’ with Maggie Phillips, a Canadian actress, and she said, ‘Listen Kevin, I watched your scene this morning, I want you to go downtown to the Ethel Barrymore Theatre and see Kazan who’s down there, casting a new play [‘Death of a Salesman’ by Arthur Miller]. I think you’d be perfect to play the son.’ So I went over there, Kazan gave me a script and he said, ‘Okay kid, you take the script, go home, study and come back Monday to read for me.’ So I went back on Monday morning and read for him. It was a great experience, a dark theater, the Ethel Barrymore, nobody there, only one light, the work light, that’s all. I did what I had to do, and Kazan came up to the stage and said, ‘Terrific, kid! Terrific! You’re gonna make a hell of a Biff [the elder son]!’ But Arthur Miller really wanted Arthur Kennedy who was under contract at Warner, they had worked together before on two plays. So they called Jack L. Warner for Artie [Miller] and Warner gave Kennedy his release so I didn’t get to play the part on the New York stage – which would have made an enormous difference in my career. I got a lot of that kind of sweet and sour stuff going on. I regret it, but I take pride in the fact that I don’t do drugs and don’t drink because I might supposed to be unhappy. Anyway, I did play the part of Biff on the London stage for six months, and subsequently in Stanley Kramer’s film version, probably because Arthur Kennedy already had a screen career going and was a lot more expensive than I was, I had no established fee whatsoever. At that time, you knew most of those young and upcoming talents from the Actors Studio pretty well? When we all still lived in New York, we used to run into each other frequently, like Marlon Brando, I used to see him occasionally, I knew him well. Now we’ve all been here in Los Angeles for so many years and although living only a short distance from one another, the last time I met him was more than ten years ago in a little café here on Ventura Boulevard. I was facing the entry and saw him come in. He came over to our table and said, ‘You never change, Kevin.’ You can take that anyway you wish (laughs), but I always liked him and respected him, which in fact is not difficult to do: the man simply has no peer. What about Montgomery Clift, one of the best actors of his generation? He was a terrific actor, a most charming and intelligent person, brilliant in every way. We did a play together once, it was Anton Checkhov’s ‘The Seal’, we played the two leading male characters. It was so unfortunate that his life deteriorated. Sometime early in his career, he toured as the juvenile with ‘There Shall Be No Night’, a play by Robert Sherwood. As I got it, they went over to Mexico when they were playing here in Los Angeles, and they must have eaten some unclean food – or at least he did – and he developed this terrible indigestion, intestinal condition. He described it as chronic amoebic dysentery, there was no cure for it evidently and he was in pain for many years. We were close friends, I knew him from about 1942 and remained very close to him for about 8 good years. This great friendship we had… I got pictures of him playing with my children that Stanley Kubrick took back in 1948 – Kubrick was working for Look Magazine as a photographer and he showed up in my apartment on a pair of roller skates for an interview with him. When doing an interview, Monty never wanted it to be done on a one-on-one basis, he always said, ‘Why do I have to talk about myself?’ He always tried to arrange someone to be with him, so the stress was taken away because of the direct focus on him. Because he was in pain very frequently, Monty would go in the drugstore, go behind the counter where the pills were, and he would charm his way with the clerks, so he’d get his pills to kill the pain. All his life, it was misery. In a way, he way a fitness freak, a student of all the crafts, always trying to be the best – physically, mentally, cinematically. He was in that range of perfection. Inside that case of skin, he tried to create the best being that could be. If you ever did anything he thought was valuable, he wanted to know all about it. He tried to get near people with talent and absorbed as much as he could. He cared about all different subjects like literature, photography,… We even ended up writing a screenplay together, but at some point, all of that changed. Even at that time – this was before his accident in 1956 – something was going wrong. By 1953 or 1954 he was trying not to see too much of me because he felt uncomfortable. He was pursued by all celebrities, magazines, authors, he had a huge following and, at times he’d be drinking a little too much and fell down a little too often. He always talked about himself and never asked you what you were doing. All the conversations he was involved in, all had something to do with his perceptions, about what he thought, what he was doing. That kind of personality was emerging, so I felt uncomfortable too. Do you still remember the impact the tragic car accident in 1956 that he was involved in? I was here in Los Angeles but had to leave town the next day, and Monty told me Liz Taylor was giving a dinner party; he would get me invited, he wanted me to come over and I loved to. I had met her in New York with him, so she wasn’t an immediate stranger, but it would be my first time in her house – she was married to Michael Wilding at that time. So that night we went to dinner, Rock Hudson and about eight others were there too. He didn’t touch the wine, he didn’t have a drink at all. By 10 o’clock I wanted to leave and he said, ‘Oh, I am going too.’ Se we left together and talked for about 10 minutes out on the parking area. Leaving there, we both went the same direction, down to Benedict Canyon and he followed me for a while so I could point out a turnoff for his house from Benedict Canyon Drive he wasn’t aware of. The road took several turns, some severe turns too, and I saw his car coming up behind me, much too fast – Monty was a daredevil at times. All of a sudden I couldn’t see his lights anymore. I thought, ‘Where is he?’ A terrifying moment, terrifying. I stopped my car and I could hear his motor running, it was the sound of a racing motor, but I couldn’t see it. I ran back up to where I could see his car – the lights were blazing, the motor racing. I couldn’t see that much, there was only one newly built house nearby, that’s all. Luckily we were driving the same Chevrolet, I knew where the ignition was, I grabbed the ignition key to stop the motor so it didn’t catch fire. I couldn’t open the door, but I reached through the window to open it, I was calling and yelling his name – a hell of a dramatic scene – ‘Monty!! Monty! !’ But it was so dark, I couldn’t see anything, I ran back down to get my car, turned it around to shine the lights so I could at least well illuminate this scene, but I didn’t find him. He was under the dashboard, he was crushed, crumpled, it was just awful. And there we were: millions of people adored that wonderful man, and I was there alone and helpless, I couldn’t even open the doors. I went back uphill to the Wildings, jumped out of my car and banged violently on their front door. We called an ambulance, went immediately back to the wrecked car and were able to open the rear door. Both Liz Taylor and I managed to climb over and get to the front seat. His face and his scalp were drenched with blood, his head was beginning to swell. In a strange voice he told her that his front teeth had been knocked out and they were stuck in his throat, choking him, and he asked her to get them out of his mouth. Very gently and in a most natural way, she put her fingers down into his throat and pulled them out. Then the doctor and the ambulance arrived. The accident scarred his face and partly ruined his good looks, didn’t it? Yes, but he recovered to what he almost had been. The unfortunate thing was that, from that point, he went like a 180 degrees around to booze, pills – who knows what. Very slowly, he was really going downhill, it was like the disintegration of a great structure. Looking back, I must say that losing that friend and that friendship was a landmark in my life. We worked together once more in John Huston’s “The Misfits” (1961), to me a wonderful mood piece of the dying old West. I played the estranged business husband of a disillusioned divorcee, played by Marilyn Monroe, who was befriended by Clark Gable, Montgomery Clift and Eli Wallach as three cowboys without saddle. But I did lose a very good friend. Another landmark in your career is undoubtly the low-budget sci-fi film “Invasion of the Body Snatchers” ? What a superbly crafted and innovative film, about aliens who literally take over the bodies of men – typical of the paranoia of the 1950s, as reports and reviews referred to the Red Scare and nuclear warfare. I was in New York, and like a lot of us from the theater, I was doing radio, TV or commercials in between, all in need of a decent income, when Don Siegel called from Los Angeles – long distance! (Laughs). He wanted me to play the leading role, and I agreed, it was that simple. No screen test. Some of the scenes were very demanding – physically – and he was looking for someone who was up to it. 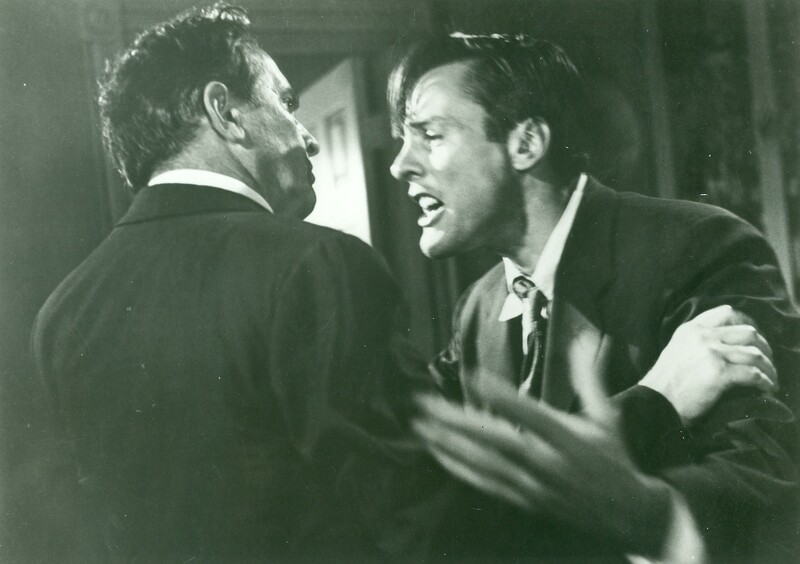 He had seen I was able to cope with tough and demanding scenes in “The Annapolis Story” (1956). 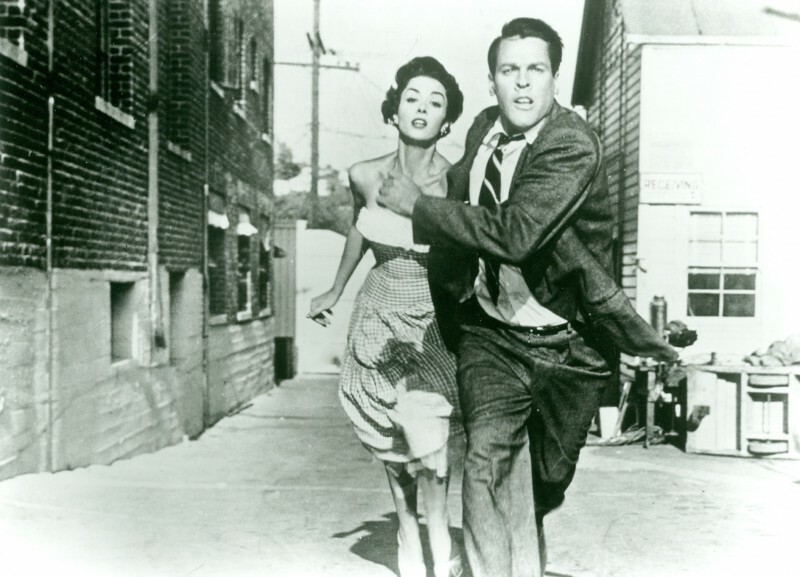 Shot in 1955, “Invasion of the Body Snatchers” wasn’t finished until 1956 because after it was made, the studio boss Steve Broidy of Allied Artists thought it was too downbeat. So Don Siegel, a terrific guy and a marvelous filmmaker, said he’d better consider re-editing the film before anybody else would do it and makes a mess of it. But he was heartsick about the fact that he had to put a ‘happy’ ending on the picture so to speak. Then Don Siegel and producer Walter Wagner decided to test a rough cut of the film on a Saturday night in Long Beach. They even recorded the crowd’s reactions on tape and the next Monday morning, they brought the tape into Steve Broidy’s office to let him hear the wildly enthusiastic reactions of the audience – shrieks, screams and laughter. But Broidy didn’t approve what they had done, saying things like, ‘How dare you to take the film down there and run it?! We don’t do sneak previews!’ Several months later, the editing still wasn’t finished. In August of 1956, I was in Johannesburg, South Africa, and Siegel called me from Hollywood at the hotel where I was staying down there, he said he needed me to come back for one more day – that was six months after they finished shooting – to do one day’s work, some narration and two scenes, including the one when I say, ‘Give me the FBI.’ I didn’t understand why they had to bring me all the way back, as I would be at home in New York in about ten days, so I could come out to California after I got to New York, which is what I did anyway. What about the title of the film? Wasn’t Don Siegel concerned that the film might be confused with Robert Wise’s “The Body Snatcher”  starring Boris Karloff and Bela Lugosi? Don was busy shooting the film and didn’t have the time to come up with a proper title, so he always urged me to find something, saying hilarious remarks such as ‘C’mon kiddo, train your goddamn brains while you’re sitting in your chair waiting for your next shot!’ Anyway, Don hated the title “Invasion of the Body Snatchers”, he thought it sounded like a cheap horror movie. Nevertheless, the film became a cult classic, not only one of the best ever made in its genre, but also one of the best films of the decade. 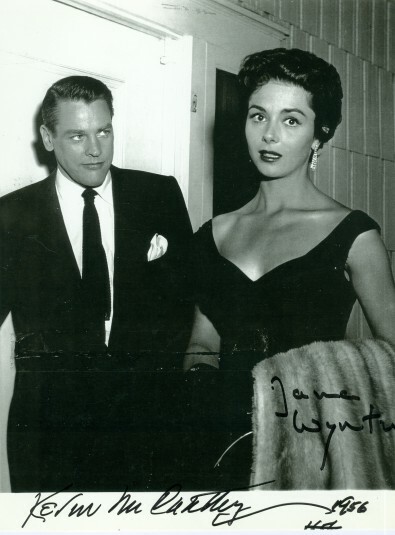 We were all able to capitalize from the impact of the pods which gave us screen immortality, also Dana Wynter who was an adorable lady, humorous, bright, delightful and luscious. But the most important role in your career, I presume, was playing the 33rd US President, Harry S. Truman, on the stage in a one-man show titled ‘Give ‘Em Hell, Harry’? What about the future? What do you expect career wise? I’m sure I will be busy for the next 10 years, so I hope you’ll hang around. I’m finding out that I got a lot of stuff in me that I haven’t used, I am intrigued of the things that I am discovering about myself, about the inner part of myself: material, insights, knowledge, anecdotes… Maybe I will turn them into another one-man show – I can recite Shakespeare till you can’t stand it any longer (laughs)… Do not think so, you shall not find it so, and God forgive them that so… So I may be heard from yet – or I could say I will be heard from again, just like people are still quoting my sister [noted author Mary McCarthy, 1912-1989]. Although she passed away 14 years ago, to this day she still is an icon. She had such a talent, style and purity. It is exciting to sit down and read the way she worked through the language and described things. When reading her work, I can also hear her voice. People who are familiar with her work, are inclined to think she was too bitter. And yet, I know that whenever she spoke, people were laughing because she had this kind of corrosive sense of humor. That sense of humor was there, and it is in the text somewhere. When you read her writing, you’ll be laughing. It still grips me and affects me, it is engrossing. Her career has been extremely important to me, because she had such a remarkable and successful career. Even now, I don’t think a week goes by at least, I see her name connected with something Mary McCarthy would say. She’s quoted constantly. I have such a high opinion of her intelligence and her talent, you have no idea. + Mr. McCarthy passed away September 11, 2010, in Hyannis, Massachusetts, of pneumonia, at age 96. MAKING OF A MALE MODEL (1983) DIR Irving J. Moore CAST Joan Collins, Jon-Erik Hexum, Kevin McCarthy (Ward Hawley), Jeff Conaway, Michael Anderson, Jr.
Posted in Actor, Film Talk and tagged A Streetcar Named Desire, Actors Studio, Allied Artists, Anton Checkhov, Arthur Kennedy, Arthur Miller, Bela Lugosi, Boris Karloff, Cheryl Crawford, Clark Gable, Dana Wynter, Death of a Salesman, Don Siegel, Drive a Crooked Road, Ed Begley, Eli Wallach, Elia Kazan, Elizabeth Taylor, Geraldine Page, Harry S. Truman, Hedy Lamarr, Humphrey Bogart, Invasion of the Body Snatchers, Jack L. Warner, James Whitmore, Janis Paige, John Huston, Karl Malden, Kevin McCarthy, Maggie Philips, Margaret Truman, Maria Schell, Marilyn Monroe, Marlon Brando, Marsha Mason, Mary McCarthy, Mickey Rooney, Montgomery Clift, Paul Henreid, Raymond Massey, Robert Lewis, Robert Wise, Rock Hudson, Sam Gallu, Stanley Kramer, Stanley Kubrick, Steve Broidy, The Annapolis Story, The Body Snatcher, The Misfits, Walter Wagner, William Shakespeare. Bookmark the permalink.